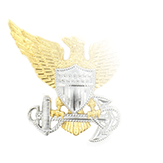 Originally approved in 1960 for award as a ribbon, the Naval Reserve Meritorious Service Medal (NRMSM) was authorized by Secretary of the Navy Paul Nitze on June 22, 1964 as a way for Navy Reservists to earn an award analogous to the Navy Good Conduct Medal. 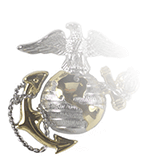 As such, only the Prisoner of War Medal and the Good Conduct Medal (Navy and Marine Corps) rank higher than it in precedence as a U.S. Campaign and Service Award. The NRMSM was initially authorized to be awarded retroactively for qualifying service over a four-year period, with a beginning date of service set at 1 July 1958. The required service period was reduced to three years beginning on January 1, 1996. Reservists ordered to periods of active duty (including temporary active duty or initial active duty for training) are allowed to count some of those active-duty periods toward the three-year service requirement. 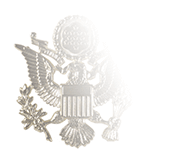 The guiding principle of the regulations here is that Active service while in Reserve status is not double-counted toward the Navy Good Conduct Medal. Exemplary conduct is essential for the awarding of the NRMSM, with no NJPs allowed during the period of eligibility (it goes without saying that a conviction by courts-marital is an automatic disqualification). Reservists whose record does have an NJP or courts-martial conviction are able to begin a new three-year eligibility cycle following the completion of the court-martial sentence or NJP. The standards for performance evaluation have been modified over the years. 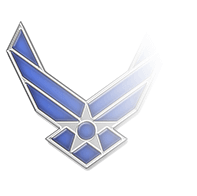 Currently, an enlisted performance evaluation mark under 2.0 in any trait automatically disqualifies NRMSM candidates; between 31 August 1983 and 31 December 1995, a minimum rating of 3.0 (or equivalent) in Military Knowledge/Performance, Rating Knowledge/Performance, Directing, Military Bearing, Personal Behavior, and Reliability was required. 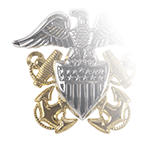 The medal's name was changed following the redesignation of the Naval Reserve to the Navy Reserve in 2005.